For 48 years the MYO created opportunities for the best of young Midlands orchestral instrumentalists to experience a high standard of orchestral playing, and to explore and perform a wide range of works from the symphonic repertoire. It also provided a platform for the best of young Midlands soloists to perform works from the great concerto repertoire. During these years many hundreds of young musicians have taken advantage of these opportunities, whether as orchestral players or as soloists, and scores of these players have used their experience in the MYO as a springboard into the world of professional music-making. The MYO was an independent youth symphony orchestra founded in 1956 by Blyth Major, the then General Manager of the City of Birmingham Symphony Orchestra (CBSO). The orchestra existed to provide young musicians with valuable experience and training in orchestral playing and performance, either to prepare them for a career in music or to provide an enjoyable leisure pastime. Blyth Major’s pioneering work was ably continued for many years by the late James Langley. Former MYO members hold positions as players, teachers and administrators in all areas of professional music – both at home and abroad. The Chairman and past Music Director, Stephen Williams (who supported James Langley for more than 20 years), and the final Music Director, Anthony Bradbury, were both former playing members. Members were drawn from all over the Midlands, from Worcestershire to North Staffordshire and Shropshire to Warwickshire. 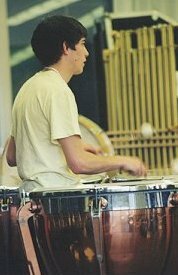 Many of the players were also members of their local youth orchestras and the MYO membership was regularly well represented in the National Youth Orchestra of Great Britain. The orchestra performed in all of the major concert halls in Birmingham as well as in concert venues around the region. It travelled abroad from time to time and took part in many international festivals. 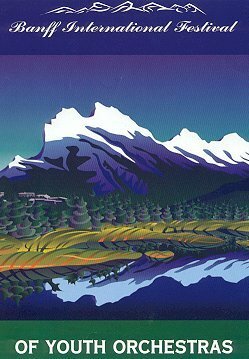 The MYO’s participation in the Banff International Festival, Canada, in 2000 and its involvement as the Host Orchestra in the 1988 and 1996 Aberdeen International Youth Festivals (among others) highlight the important musically educative role that the MYO fulfilled. The orchestra’s 1988 concert at Aberdeen was later broadcast in full on BBC Radio 3. Its educational role is further underlined by the fact that the MYO’s Patron, Paul Daniel, the distinguished former Music Director of English National Opera, directed the orchestra in Masterclasses from time to time (see the News section for more details). 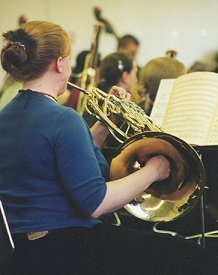 Sectional rehearsals were held regularly and were supervised by professional tutors, including members of the CBSO. The weekly rehearsals, courses and professional tuition, combined with the excellent team spirit which was the hallmark of the MYO, all lead to a consistently high standard of musical performance.